Utah Code Ann. §78B-3-404 Two years from occurrence but not more than four years from act. Foreign object or fraud: within one year discovery, or through the use of reasonable diligence should have discovered, the existence of the foreign object wrongfully left in the patient's body, whichever first occurs. §78B-3-410. For a cause of action arising on or after July 1, 2002, and before May 15, 2010 the $400,000 limitation described in Subsection (1)(b) shall be adjusted for inflation as provided in Subsection (2); and for a cause of action arising on or after May 15, 2010, $450,000. §78B-3-411. An attorney may not collect a contingent fee for representing a client seeking damages in connection with or arising out of personal injury or wrongful death caused by the negligence of another which exceeds 33-1/3 percent of the amount recovered. §78B-3-414. If the award for future damages equals or exceeds $100,000, less amounts payable for attorney fees and other costs which are due at the time of judgment, the court shall, at the request of any party, order that future damages shall be paid by periodic payments rather than by a lump sum payment. The obligation to make periodic payments for all future damages, other than damages for loss of future earnings, shall cease upon the death of the judgment creditor. Damages awarded for loss of future earnings may not be reduced or payments terminated by reason of the death of the judgment creditor, but shall be paid to persons to whom the judgment creditor owed a duty of support, as provided by law, immediately prior to his death. In that case the court which rendered the original judgment may, upon petition of any party in interest, modify the judgment to award and apportion the unpaid future damages in accordance with this section. §58-13-5. 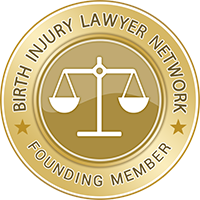 Liability arising from participation in a review of a health care provider's professional ethics, medical competence, moral turpitude, or substance abuse.